We are in the midst of the holiest period in the Christian year, the solemn days before Good Friday and the celebration of the resurrection on Easter morning. It is tempting for those of us who still acknowledge the importance of Holy Week to turn it into a sort of theme park with bible stories related to the passion of Christ but not connected to the realities of our present world. We are painfully aware that Holy Week has been a time for heightened anti-Jewish sentiments through the centuries, often encouraged by pastors and priests who characterized Jews as Christ killers. Jewish neighbours were falsely accused of bizarre rituals which resulted in physical attacks, destruction of property, and murders. 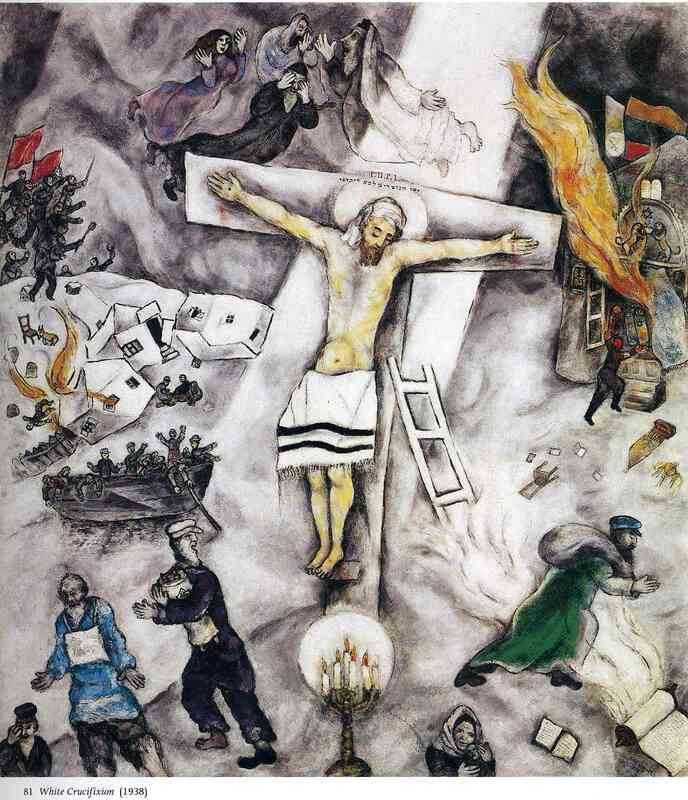 Marc Chagall's White Crucifixion portrays Jewish persecution in Russia, his homeland as a Jew. Sadly, this is not just a dark aspect of history. A few days ago a Thornhill synagogue was vandalized in broad daylight by someone who picked up several rocks and heaved them through the glass front doors, all caught on security cameras. 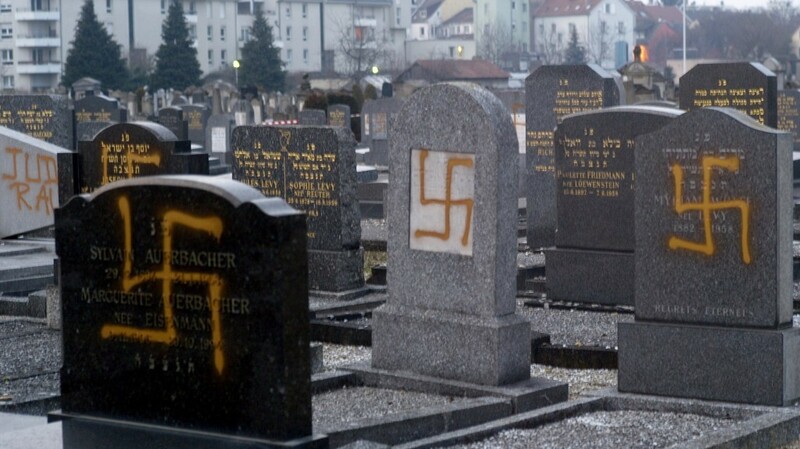 We're told that anti-Jewish hate crimes are on the rise in the United States, up 57 percent in 2017 from 2016, the largest single-year jump on record, according to the Anti-Defamation League. Many see this as connected to the election of President Trump and the underlying tones of racial and religious discrimination amongst some of his right-wing supports. There are concerns that bigots in Canada have been emboldened as well. I should explain that I use anti-Jewish rather than anti-Semitic because Muslims are Semites as well. There has also been a sharp increase in anti-Islam speech and acts in the past couple of years. As we move toward Easter and participate in the services of Maundy Thursday and Good Friday we might intentionally acknowledge that Jesus was a Jew, in Jerusalem with his Jewish followers for the celebration of Pesach or Passover. The meal of Maundy Thursday was the seder of Judaism. We can pray and work toward a world without religious prejudice even as we uphold Jesus as the Christ and our Risen Saviour. These photos of the attack on a synagogue and vandalism in a cemetary are very disturbing reminders of the hatred that exist in our society. I definitely believe there's a connection between the right wing extremists coming out of the woodwork and the election of Trump. His narrative has made it seem acceptable for those soulless haters to spew their filth. In many rallies, the RWE are out there and not even covering their faces. I think what has astounded many of us is the number of people who claim to belong to a right wing group. Those who are anti-islamic may as well be on the ISIS payroll. One of the ISIS narratives is that the west hates islam. What better way to recruit new members to ISIS than to remind them that there are large numbers of people in their own country who hate islam.